BRS Stands for Boards Review series. It is one of the most famous publications of medical short books that are used particularly for USMLE and generally for all exams. As these books are the shorts books, means only important points are mentioned therefore, these books are widely used for the purpose of revision for exams. 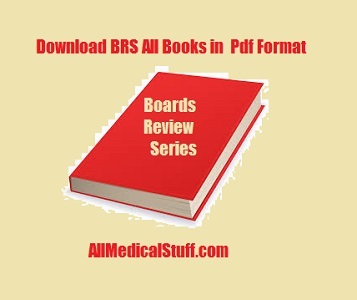 Here in the post we would review all of the brs books that are available in pdf format and would try to add a free download link to these books if it is available. Boards review series book of gross anatomy is available in pdf format. This is one of the greatest resource that students have for USMLE and other exams for revision of anatomy. This book is written by Kyun Won Chung and Harold M. Chung. As anatomy is a hard to remember subject and revising long books for exams take a lot time therefore this book is one of the best book of its kinds. Like other books of this series, it would save a lot of you time while revising anatomy. You can trust this book as it is published by boards review series. There are 8 editions of this book and the latest one has some great additional features as well. At the end of every chapter, different questions are given along with their answers that are extremely helpful for exams prospective. Clinical and embryological notes are given where necessary. Questions/ answers not at the end of each chapter but at the end of book is also given in complete course which is a great resource for self evaluation. Diagrams and dissections are given where necessary. Download link are removed due to copyright claim by book author. This is the best physiology book for USMLE step 1 preparations. You can read complete chapters in just few minutes which is due to its ease of understand language and format. All the important points are given in such a way that after reading then you will never forget them in exams. Different questions and mcq’s of each chapter of physiology are given at the end of every chapter. 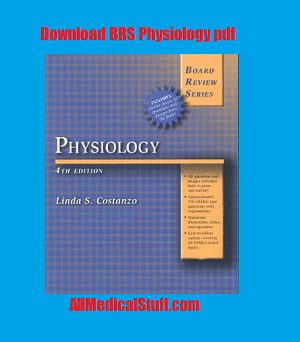 You can download BRS physiology cases and problems pdf at the end of this review. The book of biochemistry of this edition is written by Dawn B Marks. This book is one of the best selling USMLE book of biochem. This book is good for the last days of exams when you don’t have enough time to revise long books like lippincott biochemisty or harpers biochemistry etc. Features of this book are almost same as other boards review series book. And its latest edition is 3rd edition. You can download that below. NOTE: All the download links are removed from this review of boards review series due to copyright issues. Note: This post is not complete and would be updated regularly when a new book is reviewed. Hi! Do you have other BRS books mentioned on the list above? If so, can you please give me a copy on my e-mail? You’re welcome will again be very greatly appreciated. Thank you! *typo* Your help will again be very greatly appreciated! yes i have all of them in my laptop but haven’t uploaded them to my server. would upload all of them after my exams. Hi Hamza , I wonder if you can send me the BRS physiology , histology , biochemistry and pharmacology books by e-mail ? and it will be very appreciated .. and thanks a lot ! Can you give me this file book? I am looking for the one that is for physiology .I need it for my advance physiology class for my test.Can u email it please to me.My email is [email protected].I have my text this Friday. If you can email it to me that would be a great help.I really need your help. check my reply above…haven’t uploaded it anywhere. Hi, thanks for this books they have been helpful. Do you have Physiology by Costanzo? i.e the textbook not the BRS review book or can you get it? I will really appreciate it. All the best in your exams. Hello admin, plss send me the brs books. I badly need it med school. thankx for this greart help……………..
Jazak Allah kula kheer my friend. This is exactly what we needed. May Allah reward you in this life and the hereafter. When you add pharmacology can you update me please? wait for the update…this post will be updated soon with all the download links…or you can visit allmedbooks.com it is updated more often then this site..
yes…received a copyright notice for it so can’t share the link. But i would try to add link of some external source. sorry can’t email these at the moment. i have’t uploaded them into my server due to copyright issue. But i would soon update the link from some external site. Thank your a lot for your share. Can you send me a copy of the 10 Boards Review Series books? My email is [email protected]. You have made a great difference. can shares these books at the moment but would share them soon. Bhai, pdf hai toh bhav kha raha hai kya? copyright issue hai toh link forward kar do email mein. we will download it from your server. y making us search everywhere, just email us the link. 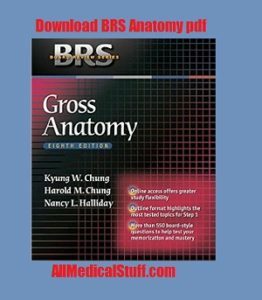 sir ,i want brs anatomy book.plz send it to my mail address. Hi sir, can i have a copy of all the pdf copy of brs.. Thanks, your help is greatly appreciated..
Sir plz u can send me 2nd year books of BRS pdf (pharmacology , microbiology , & pathology ) ….i will be thankful to u . Please i would like to get a copy of BRS physiology, anatomy and biochemistry to my email. Am interested in BRS Pharmacology 6th edition. Thank you…. salaam, i need the brs microbiology and immunology link, can u pls send me to my email id. JazakAllah for the service u r doing otherwise i cant buy these expensive books. could you please email me BRS – Patho, pharma and micro? Hello admin, can I have a copy of BRS books? I just badly need it. Please please help me. I need it in med school. Hello sir, can I have the pdf version of all the BRS books? I just badly need it in med chool sir. Please please help me. hi. can you send me all the latest copy of your brs pdf files? i sent you my email address. thank you in advance! Could you please email some old step1 kap notes. Would highly appreciate..